Poisoned Pen Press, 9781464201127, 268pp. Young veterinarian Rachel Goddard's world begins to crumble when a client rushes into the animal hospital with a basset hound struck by a car during a thunderstorm. The dog owner's terrified tot, drenched with rain, loses sight of her mother in the flurry of activity and screams, ""Mommy I want Mommy "" Instantly Rachel is hurled back in time to a day in her own childhood when her baby sister Michelle uttered the same cry while thunder crashed and rain poured down on them. The unearthed memory feels like a fragment from a nightmare, and Rachel doesn't understand its meaning or the anguish it stirs up in her. 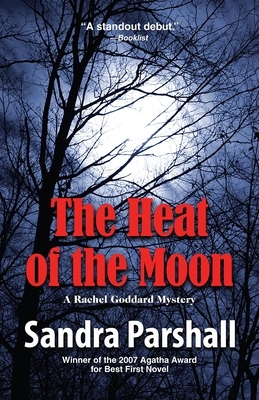 Sandra Parshall, a native southerner, worked as a reporter in South Carolina, West Virginia, and Baltimore. She lives in Northern Virginia with her husband, a longtime Washington journalist, and their cats.